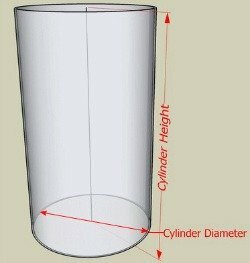 Here is a concrete cubic yard calculator for cylinders, sono-tubes, walls, sidewalks and floors. Just enter in your dimensions, make sure you choose feet and inches carefully, then hit calculate. An estimated cubic yardage will show in the box. Use these calculators for estimating purposes, there's a formula below to calculate concrete for cylinders if you want to check the calculator. 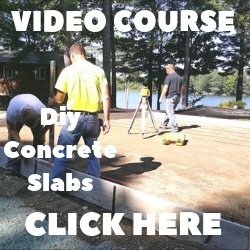 You can also use my concrete flatwork formula to double check results for slabs and floors. I highly recommend this handy concrete calculator for your truck or office. It will calculate yardage, volume, area, square footage and a lot more. For fast and accurate calculating in the field this is a must have tool. I always check the actual thickness with a laser level. If you don't have one you can rent one, it will come in handy when you set the finished grade to your concrete floor, walls or sono-tubes. Checking instead of assuming what the actual thickness is will save you from running short on concrete. Depending on the size of your project, it's always a good idea to add a little extra, 5% to 10%. When I order concrete, I always order 1/2 to 1 yard extra, over the years I've learned running out of concrete isn't good for me, the customer or the concrete company. 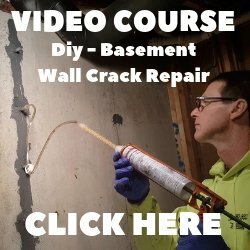 How to calculate concrete for cylinders and sono-tubes. pi X r^2 X h - This will give you the volume in cubic inches which we'll convert to cubic feet then to cubic yards. If you have a concrete sono-tube that's 12 inches in diameter and 5 feet deep, here's what the math will look like. To convert the cubic inches to cubic feet divide your result by 1728. 6783/1728 = 3.93 cubic feet. You can use this measurement to figure out how many bags of concrete to use. If you divide 3.93 cubic feet by 27 (3.93/27) = .146 cubic yards. Dividing cubic feet by 27 (a cubic yard) will give you the concrete yardage. This would be good to know if you had a lot of sono-tubes or a large cylinder to fill.